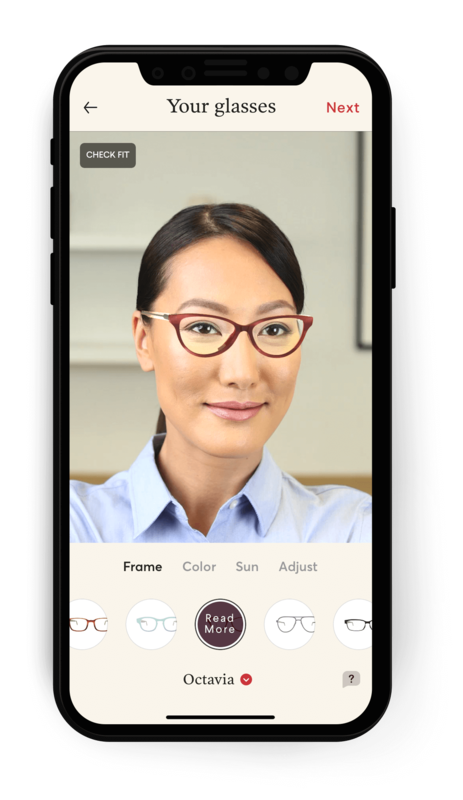 At Topology Eyewear, we engineer premium, custom-fit eyewear designed and built to perfectly fit each individual customer no matter their nose shape, head size, or ear placement. Our process gives you the freedom to select any of our frame styles without worrying about how they’ll fit your features. Our technology insures that the nose bridge is precisely carved to sit comfortably and accurately on your face. Your face is unique, and “stock eyewear” never accounts for that. Frames off the shelf expect your face to follow a generic mold. Our eyewear is made one at a time for one person at a time. As soon as you start the in-app virtual try on, the 3D technology will automatically adjust the nose pads on any style to fit the structure of your nose bridge. You never have to worry about gapping, sliding, or pressure. We construct the nose pads so they rest exactly where you want them to, keeping in mind the correct height to optimize your prescription and to stay off your cheeks and away from your eyelashes. An example of how the nose bridge on our Union frame has been adjusted to fit three unique customer faces.